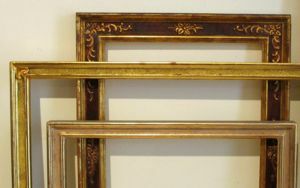 In addition to restoration of antique frames, we make custom frames with gilded and other decorative treatment. 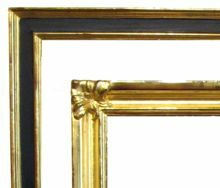 My frames are created using various gilding techniques, decorative treatments and ornament as appropriate. 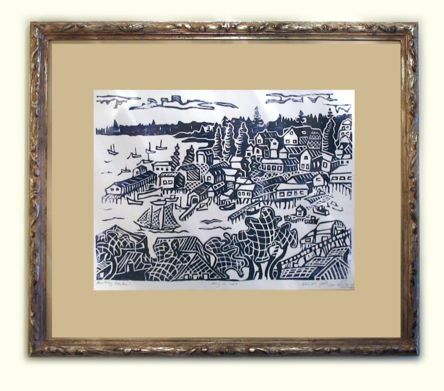 I want my work to be seen as the product of the craftsman's hand, as the piece it may enclose shows the hand of the artist. 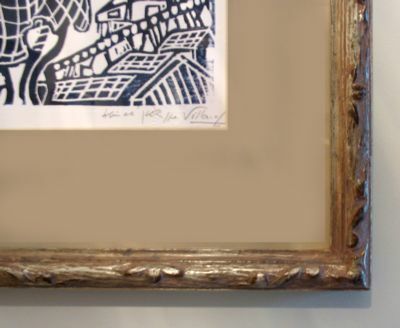 This carved and silver-gilt frame (detail at right) was made for a woodcut from the Villard Atelier in Boothbay, Maine.